These booties let you take the fringe trend to your feet in the best way possible. 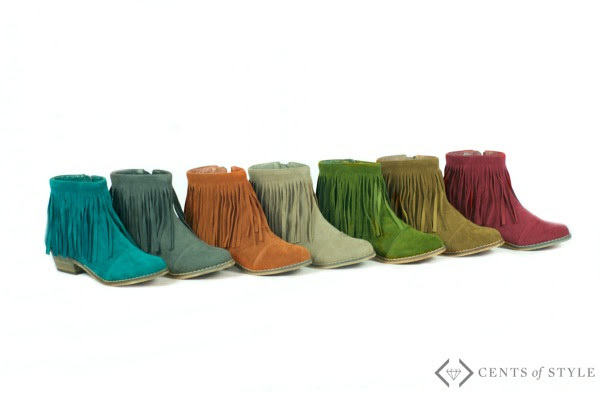 Ankle boots that feature long, faux suede fringe and the tiniest of heels to give your legs a long, lean look. Just watch that fringe and see how it flutters! With the color options (7!) letting you be as demure or as bold as you desire, and sizes from 6 to 11, this bootie has something for everyone! This is a great way to try the 70s, Fringe trend in an affordable and darling way - without it being too overwhelming. 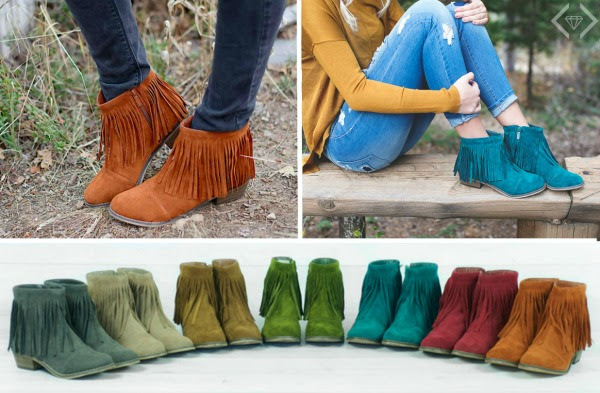 Pair these booties with your favorite jeans and a cardigan - go as bold as you want with your color combo and you have the perfect Fall outfit. Pop these on with your go-to dress for an updated, on trend look. Blanket scarf & coordinating fringe ankle boots. Need we say more? Add a pop of fringey color to a monochromatic outfit.